Move-in ready updated 2-story townhome style condo. Recently remodeled, the condo features beautifully updated bathrooms throughout, an open main floor plan, and fresh paint & flooring. The spacious living room opens to the private fenced patio and the modern kitchen that features crisp white cabinets, granite countertops, stainless steel appliances, a skylight, and a laundry closet/pantry with an included washer and dryer. Upstairs is the spacious master bedroom with a Juliette balcony, an attached 3/4 bathroom with double vanities with marble countertops, and a walk-in closet. Down the hall, a secondary suite also boasts a walk-in closet and an en-suite full bathroom. Community features include a pool, clubhouse, courtyard with mountain views & 2 underground reserved parking spaces. 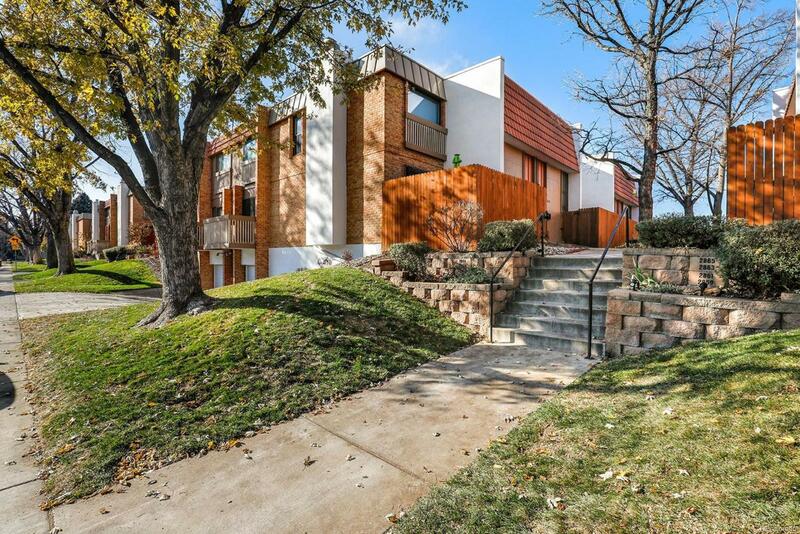 Centrally located, this condo is close to everything Denver has to offer including the Yale Light Rail Station. Walking distance to restaurants, retail, Bible Park, and the High Line Canal Trail.